Mr Sanjay Agrawal is a Consultant Bariatric, Laparoscopic and Upper GI Surgeon at Homerton University Hospital in London, United Kingdom. He also holds the position of Honorary Senior Lecturer at Queen Mary University of London. He is Editor-In-Chief of the global best selling bariatric surgery textbook entitled ‘Obesity, Bariatric & Metabolic Surgery: A Practical Guide’ published in October, 2015 by Springer. The book has approximately 100,000 combined chapter downloads electronically worldwide since its release. He is designated as a ‘Surgeon of Excellence in Metabolic and Bariatric Surgery™, SOEMBS™’ by the Surgical Review Corporation of USA. 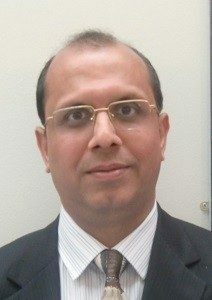 His honours include being the First Post-CCT Fellow in Bariatric and Upper GI Surgery awarded under the National Surgical Fellowship Scheme through the Royal College of Surgeons of England in partnership with the Surgical Specialist Associations for a year. Mr Agrawal has made numerous presentations (>100) at national and international meetings as well as multiple publications (>100) in peer-reviewed journals. His main clinical interests are in the surgical management of obesity, including laparoscopic gastric band, gastric sleeve and gastric bypass surgery. He has served as Faculty in different capacities (Chair/Moderator/Speaker and Live surgical demonstrations) in numerous national and international meetings.